A brewery with plans to open a brick-and-mortar locations in Ridgewood this spring will be holding a series of pop-up taproom events at a nearby bar leading up to its official opening. Evil Twin, which has been readying to open its 1616 George St. location for several months, will run a pop-up taproom every weekend at Nowadays, located at 56-06 Cooper Ave., starting on Jan. 25. until the brewery’s anticipated opening in May. Evil Twin will be taking over all eight of Nowadays’ indoor taps to serve their hand-crafted pilsners, IPAs, stouts and everything in between. Jeppe Jarnit-Bjergso, a Denmark native who founded Evil Twin in 2010, has been steadily growing the beer’s reach over the years through “gypsy brewing”—contracting other breweries to produce Evil Twin products. But the Ridgewood facility, which would be the first physical home for the company, has seen several setbacks along the way, and was thought to at last open in late 2018. The pop-up taprooms at the local bar, Jarnit-Bjergso said, will be a way to begin to serve the Ridgewood community as soon as possible and bridge the gap between the late spring opening. “I have always been inspired by like-minded creative people, and meeting Eamon and Justin, co-owners of Nowadays and resident DJ’s, and talking about what we could do in and for Ridgewood made it obvious we had to work together in some capacity,” Jarnit-Bjergso said. The George Street brewery will have an indoor bar and taproom and a year-round greenhouse and beer garden. The team will also be working with the Manhattan-based Izakaya on the concept. 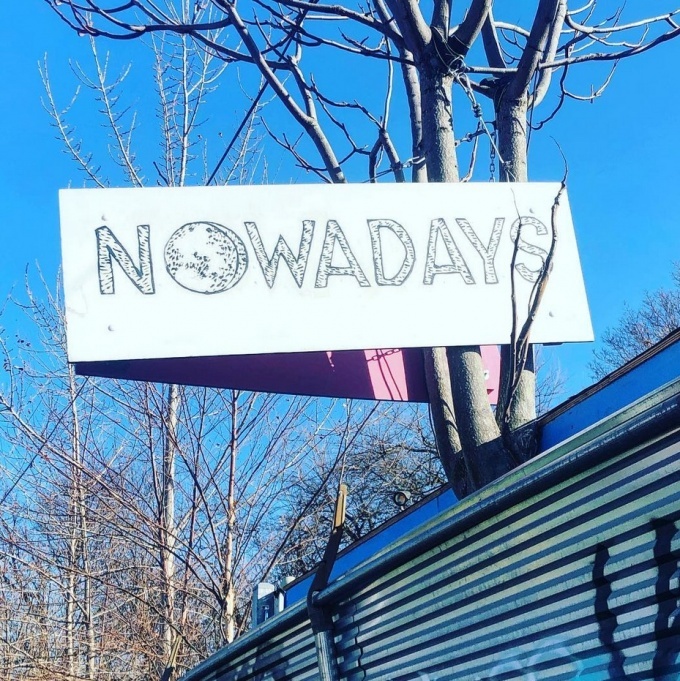 Beginning in February, the pop-up at Nowadays will also serve some of Evil Twin’s limited edition beers including “Ridgewood Resurrection,” an 8 percent double dry hopped double India pale ale, “Your Mom Goes to College,” a 4 percent dry hopped sour ale, and “By the End of the Day,” a 10 percent double dry hopped triple India pale ale. While the Evil Twin location has yet to officially open to the public, substantial work has been completed on site, with those looking for a sneak peek invited to head over and purchase specially-canned beers and merchandise. Fridays, 5 p.m. – 10 p.m.
Saturdays, 12 p.m. -10 p.m.
Sundays, 12 p.m. – 3 p.m.